The initial studies stem from the relatively new scientific field of bio-acoustics; “the branch of science concerned with sounds produced by or affecting living organisms, especially as relating to communication." 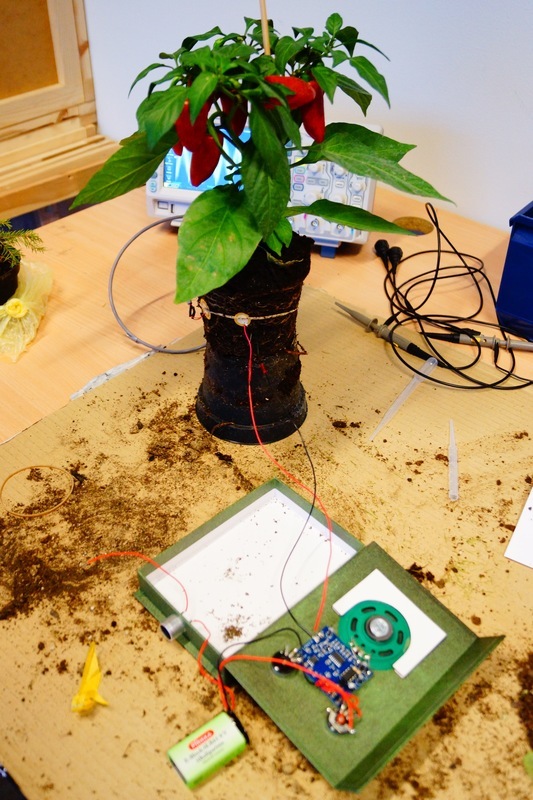 (reference2) Research herein has found that plant roots emit irregular high frequency clicking sounds, UAE’s (Ultrasonic acoustic emissions), in the humanly inaudible sonic range between 20-300 kHz. (reference3, reference4). After having successfully recorded some of these UAE's for the video-work, our new challenge is now to create a system for live down-sampling these clicks into the human range of hearing below 20 kHz. 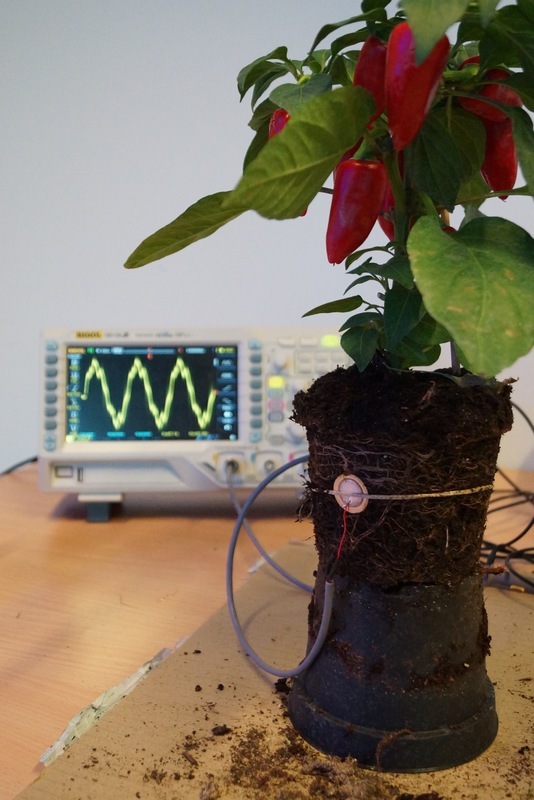 We have meanwhile started growing a range of plants whose roots, according to our research, should be fitting for creating and receiving sound. 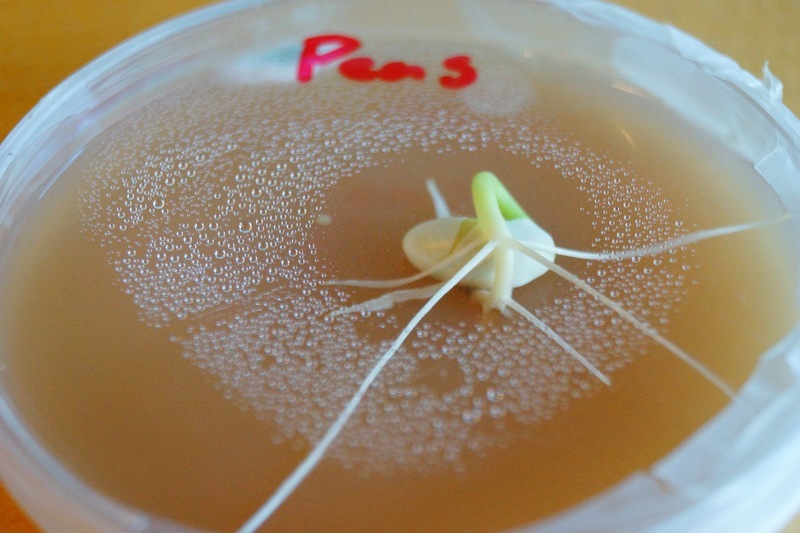 The two types that are reemerging are both corn-roots and pea-roots (pictured below). We aim at creating a wide array of different roots that we can start testing on when the technical system is complete, so that we can start categorizing the individual results - and verify or falsify their sonic emissions. Finally we have started a branch of the investigation into the acoustic capabilities of fungus mycelium, the roots of mushrooms that has in resent research been found to act as a communicative network and 'wires' between trees and even whole forests. 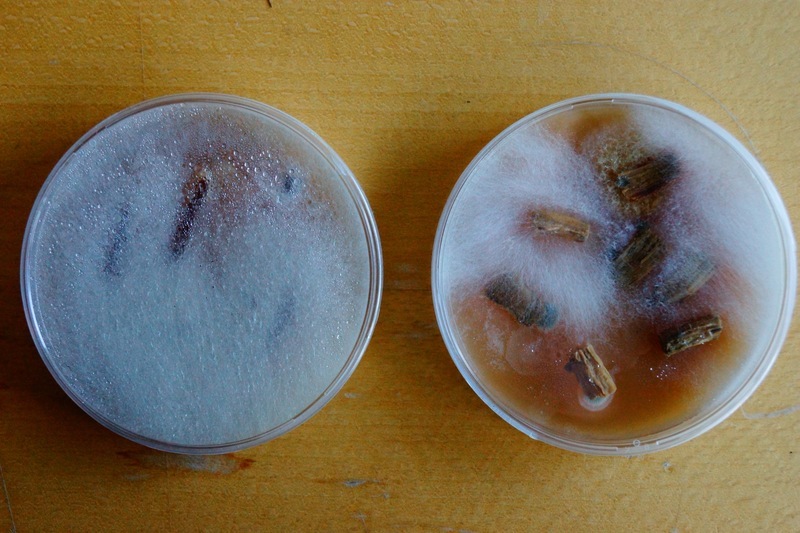 (reference6) These new findings sparked an interest for us in terms of whether the mycelium itself is able to create kinds of acoustic emissions, so we have initiated different mycelium growing samples (image below) to investigate this. As these are the very first steps in this exploration we will continue to post updates and new investigations here on the page. More on the project is HERE!! !